Materials Science. 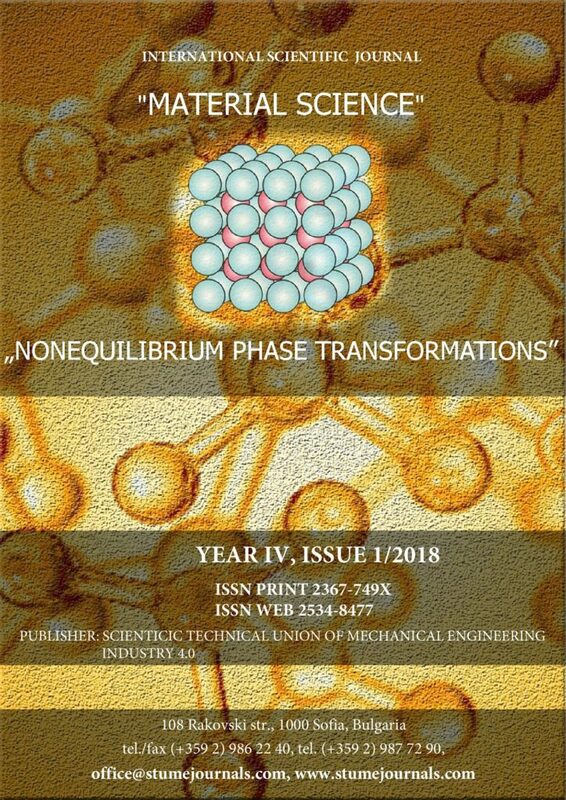 Non-Equilibrium Phase Transformations. Ultrasonic testing (UT) of castings is common foundary practice. For the correct calibration of UT, it is necessary to measure the velocity propagation of the ultrasound waves in the castings. It is inverse ultrasonic problem. A method for velocity measurement, according to ASTM E 494: 2015, with one-sided access to the casting, is being considered. In this article the equations for determined of transversal and longitudinal velocities propagation – ( Vt;Vl ) V ;V , through measurement: distance between transducers (source-reflector) – 2.W X and the time of propagation – ( X ) T/t are obtained. METHOD FOR DETERMINING ADHESIVE STRENGTH ON THE BORDER QUARTZ SAND – BINDING SYSTEM " NO BAKE "